Magic Holidays: The Travel Foodie! We totally think that food is a very good motivator – be it for work or travel! People travel all over the globe to taste different and new cuisines all the time. Only a person, who really acknowledges his love for food, would appreciate the fact that - same recipe cooked at two different places can never taste same, and it does not matter if the difference is several miles or several hundred miles. The reasons may be quite a few – different hands making the dish, the local spices & customs, variety of ingredients available, etc. But, no matter how alluring this travel motive may be, there is more to it than stuffed tummies and satisfied taste buds. There are upset stomachs, food poisoning, vomiting, nausea and most long term effect – obesity. So the question is: How to enjoy the holidays while not compromising the foodie in you? Always carry with you some emergency food – nutrition bars, instant soups & noodles, healthy snacks and biscuits, etc. Whenever visiting the market, do not forget to purchase fresh & seasonal fruits – easily available everywhere & healthy as well as, well within your budget. Keep hydrated all the time – drink lots of water while traveling. You tend to perform more activities than in your normal routine. Also, drinking water helps remove toxins from your body. Always carry a first aid-kit, fully equipped with anti-vomit medicines, ‘pudin hara’ or another medicine for upset stomach, anti- allergy as you may never know what new ingredient your body might be allergic to. Besides all these medicines, you may consult your doctor if you are on any medication; learn about food you must avoid at the destined place & food you must have. Also, while at any diner or street food stall, do not hesitate in asking for the specific food or specific preparation you wish to have. 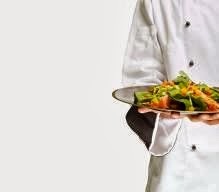 Let the waiters know your specifics – in case you are vegetarian, vegan or on special diet. Another nice idea is always to do your homework before leaving – research about the place you are going. Checkout for the information about closest local markets, diners or street food stalls, specialties of the place as well as things to look out for. A little smartness on your part can not only help you plan a fine holiday, you may find it easily manageable as well!